Beautiful tumbled leathers make Drew Zip II shoes the casual shoe of choice for women who desire shoes with medically beneficial features. Drew Zip II shoes feature layers of lightweight materials to pamper and protect the foot, as well as steel shanks and firm heel counters that provide added support and stability. The exclusive Plus Fitting System with two removable insoles provides added comfort and depth in our Drew Zip II shoes, while a padded tongue and collar introduce added therapeutic benefits to one truly comfortable shoe. Click to see all the Drew Zip II colors. A very FIRM shoe This shoe does accomodate an orthotic. It has 2 removable insoles, which allow you all sorts of combinations - with orthotic and 2 insoles, with orthotic and only one insole, etc. It also has a wider toe box, which I appreciate. However, it is not as comfortable as I would like. It has taken forever to break this shoe in. To be fair, I usually wear a running shoe, so maybe I am expecting too much in the comfort area. i really needed these shoes I had foot surgery. I could not wear tennis shoes any more. These shoes are very comfortable and do not hurt my feet. I have just ordered another pair. Excellent as always! I have been wearing Drew shoes for years due to arthritis in the bones on the top of my feet. 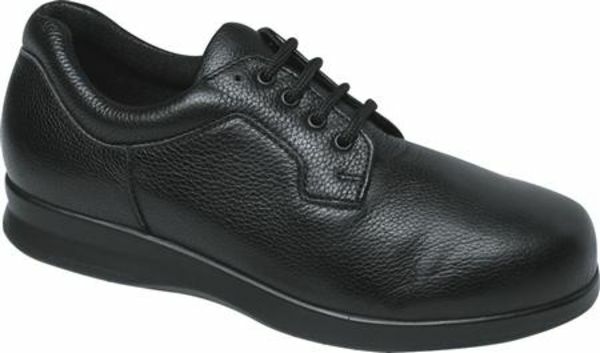 I need a sturdy narrow shoe that laces and will accommodate an orthotic as well. I replace the heavy "round" shoelaces with a narrower type since I have to wear these shoes with semi dress clothes and don't care for the bulky look of the ones that came with these particular shoes. They are wonderful. They fit perfect and felt like I had great support in my ankles which is what I need. loved the shoes but were to narrow.